Evergreen, upright scrub. Hardiness unknown. Young shoots reddish, stipitate scaly and with tiny hairs. Leaves dark green, shiny, elliptical, slightly aromatic, to 65 x 26 mm. Apex acute obtuse to obtuse with mucro. Base rounded to obtuse. Adaxial side with scales 1 - 3 x the diameter apart. 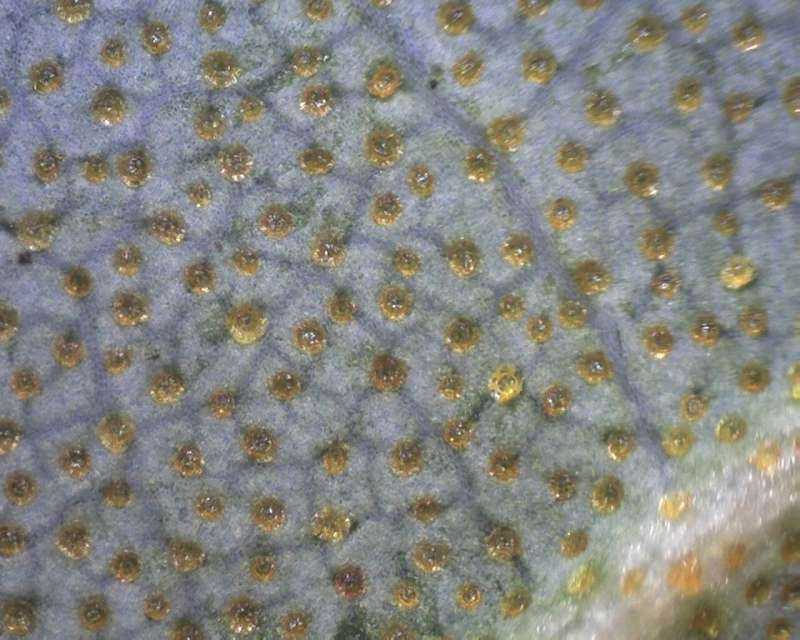 Abaxial side grey green, densely scaly, scales 0.5 -2 x the diameter apart. Petiole 5 - 8 mm, slightly lepidote. 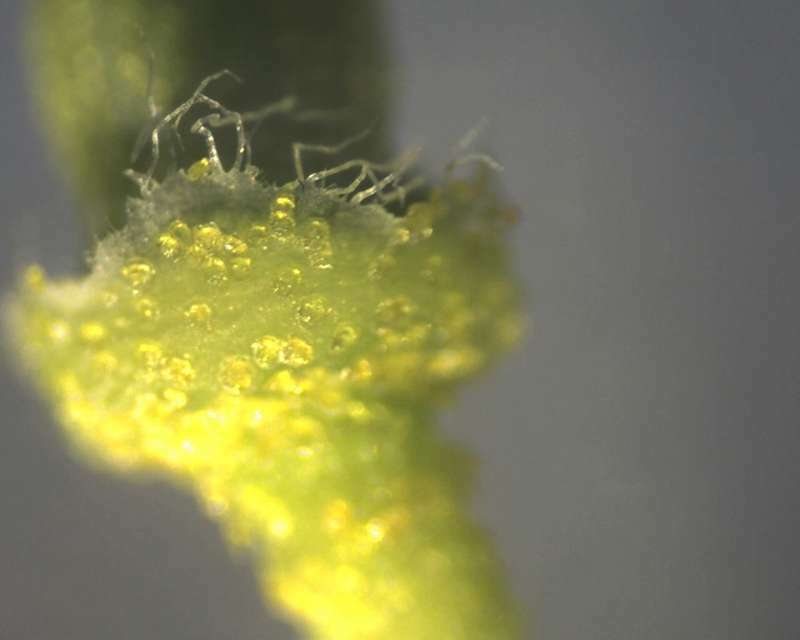 Flower buds terminal, 1-4. Inflorescens with 2 - 4 flowers. Pedicel 26 - 29 mm, with fine hairy cover (c. 60 micrs.) and with scattered scales. 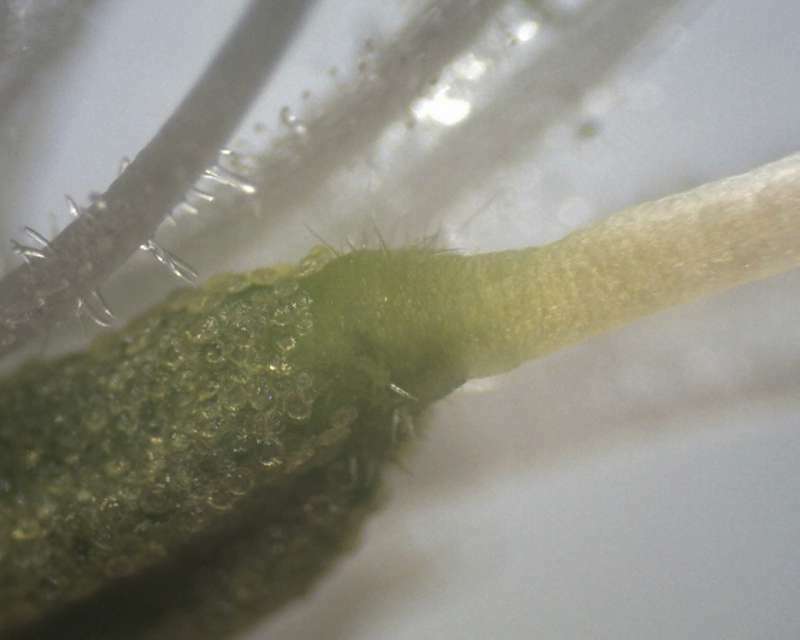 Calyx c. 0.9 mm, with poorly developed lobes, scaly and with a few, long, marginal hairs. Corolla with 5 lingulate lobes, widely funnel-shaped, c. 30 mm wide, c. 15 mm long, white, with a few scales on the inner and outer side. Some fine hairs on the inside. Ovary densely scaly, with longitudinal furrows, with a hairy transition zone towards the style, c. 4 mm. 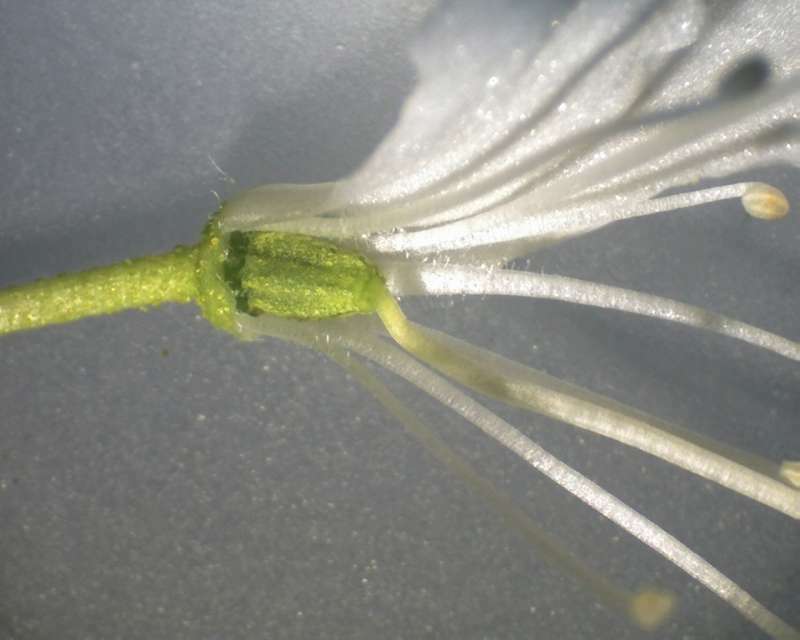 Stamens 10, white, unequal in length, with proximal fine, dense glandular hairs. Style straight, glabrous, not depressed into the ovary, 20 - 22 mm, with slightly swollen, disc-shaped stigma. Capsule scaly, 4 -5 mm, with longitudinal furrows. 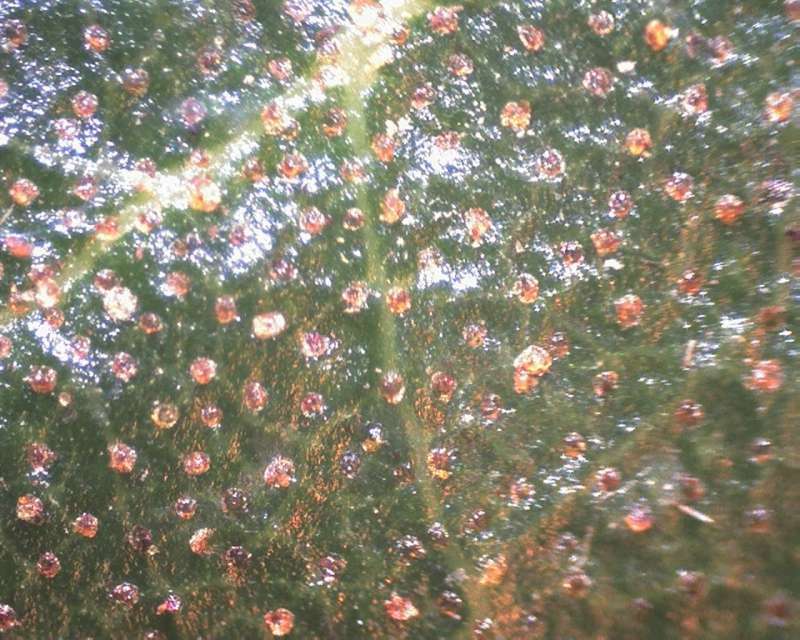 Seeds without wings, with small floating sacs, 1.1 - 1.3 mm. Locality: A pass c. 60 km south of Muli, Sichuan, China. Altitude: 3125 m. Remarks: Pedicels on the collected dry, capsules measure 8 - 11 mm and are therefore in accordance with the species description in Flora of China (= 0.3 - 1.3 cm). The above specimen has been raised in artificial light. Due to the long pedicels observed it can only be referred to as R. siderophyllum aff.